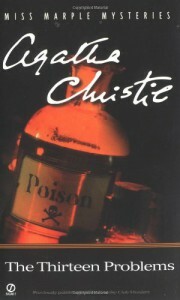 I am not a fan of short stories, but these Marple stories were outstanding and thoroughly enjoyable. It was great to get a bit better acquainted with some of the characters in the novels, including the Bantry's, who are the primary focus of The Body in the Library, and Sir Henry Clithering, who is mentioned frequently in the Marple canon. Some of the stories are better than others, but all of them were entertaining and show cased Miss Marple's curious method of crime solving. It was great fun.